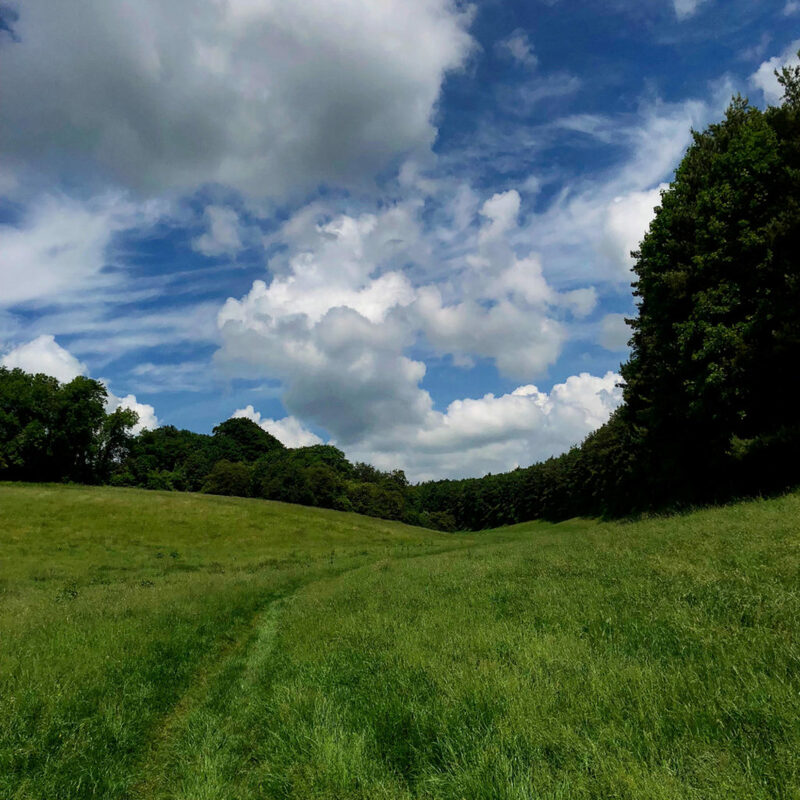 Walking in the Cotswolds provides an abundance of choice from the undulating rich landscape of the Cotswolds to picturesque villages, historical architecture and rolling hills. Explore these stunning landscapes as the Cotswolds boasts many walks to rival the very best in England. Whether a gentle stroll, a modest hike or a more challenging walk such as the 102-mile Cotswold Way the Cotswolds has a wonderful selection of footpaths, bridleways, picturesque towns such as Burford and the many beautiful Cotswold villages of famous limestone appearance, including Swinbrook along with the secluded river Windrush of course. 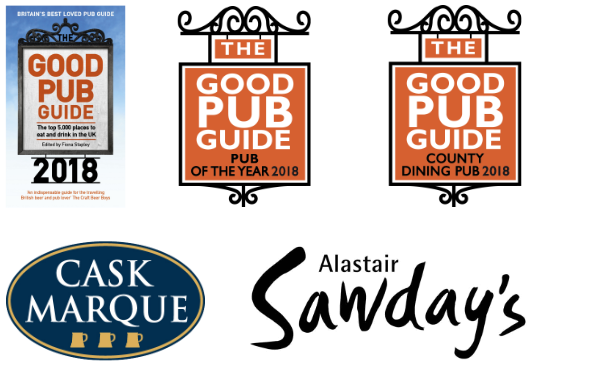 During the milder months enjoy the charm of a pint of local ale or refreshing glass of wine to compliment our locally sourced summer menu. The winter months are just as rewarding when the perfect greeting awaits you coming in from the winter chill; a toasty cracking fire accompanied by a comforting bowl of of seasonal soup. 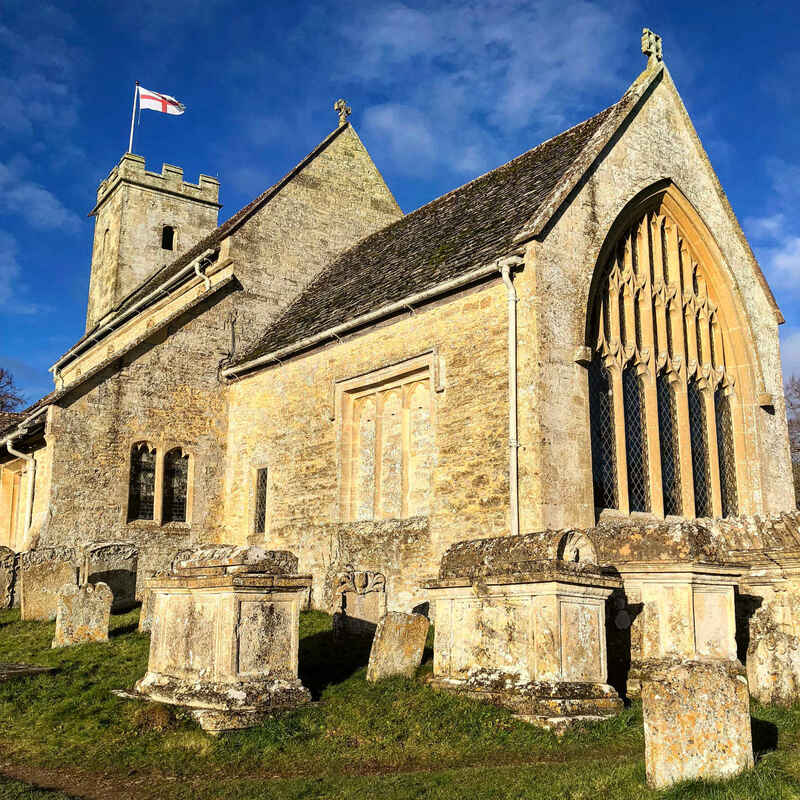 Visit an isolated medieval church in a meadow and explore Swinbrook village in detail. A longer walk through wooded country with magnificent views to Asthall village. Three Cotswold villages and an extended exploration of the Windrush valley. 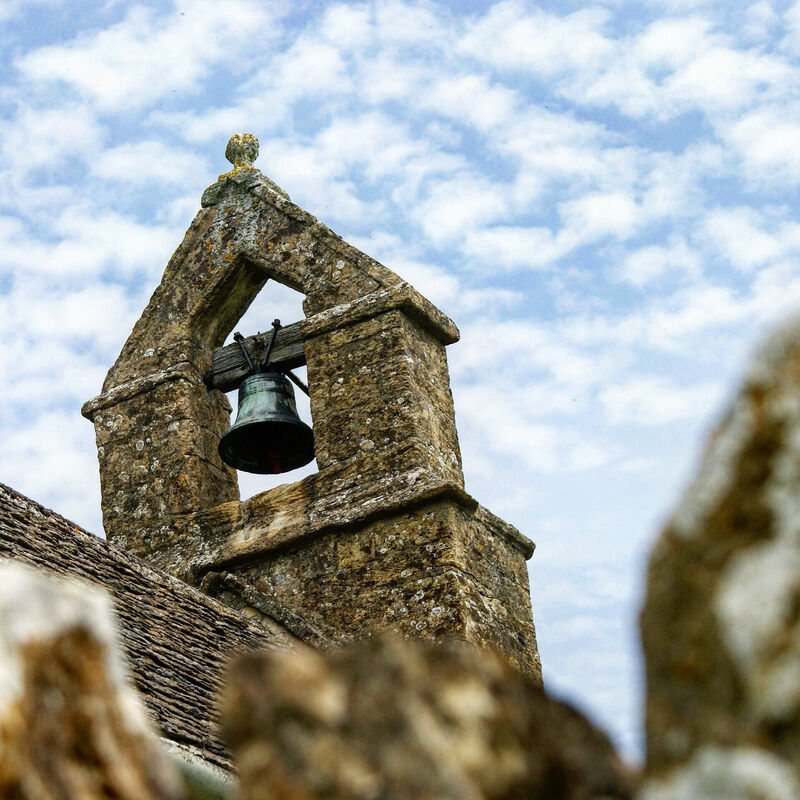 For a longer circuit of 6.5 miles, follow steps 1 – 18 of the Asthall, Widford and Swinbrook route as far as Widford Church, then steps 7 – 21 of the Widford Church and Paynes Farm walk. Allow 1 – 1.5 hours. Several stiles; paths may be muddy after rain. 1. From the front door of the Swan Inn, turn left. 2. Walk up the road into Swinbrook village, keeping left at a junction by a fine stone barn. 3. Keep left at the village green, and turn left by the postbox. 4. Pass below the church, then join a walled path to the left of the last house that leads to a gate into open fields. 5. Cross two fields and pass to the right of a walled cottage as you approach Widford Church. 6. Go through a gate to the right of a cattle grid and leave the track to the right to visit the church. 7. Retrace your steps through the gate by the cattle grid, then turn left to a field gate into the dry valley of Dean Bottom. 8. Walk up the valley for 600 yards, to a stile into a narrow lane. 9. Turn right along the lane for 300 yards before turning left along a hedged green lane that descends to a gate. 10. Turn right down another dry valley. 11. Towards the bottom, keep left of the marshy area and pass to the left of a spring into trees. 12. Ignore an overgrown stile on the right, instead climbing slightly to exit the trees, before turning right to descend to a stile at the corner of a stone wall. 13. Follow the path across boggy ground to the right of a cottage, crossing a plank bridge before bearing right to meet the road. 14. Turn right and walk down the road into Swinbrook, ignoring a turning on the right by the Old Forge. 15. Turn left onto a back lane, passing a small ford and passing The Bell House on your left, before turning right to the village green. 16. Retrace your steps to the Swan. Allow 2 – 2.5 hours. Multiple stiles; paths may be muddy after rain. 4. Pass below the church, then join a walled path to the left of the last house is that leads to a gate into open fields. 6. Go through a gate to the right of a cattle grid and leave the track to the right to visit the church, then retrace your steps. 7. Beyond the gate by the cattle grid, turn left to a field gate into the dry valley of Dean Bottom. 9. Turn right along the lane for 300 yards before turning left along hedged green lane that descends to a gate. 10. Ignore the valley on the right and follow the track half-right up the hillside opposite. 11. Walk along the edge of the wood on your left before bearing right to a gate in the corner. 12. Follow a stony track downhill to meet a metalled road. 13. Turn right and walk down to a grass triangle in front of some stone cottages. 14. Turn right to another junction, where you turn left, signposted “Fordwells and Leafield”. 15. Walk up the lane with woods to left and right. 16. About half a mile from the junction, shortly after the woodland on the right gives way to open fields, turn right onto an obvious track signposted “Bridleway leading to byway”. 17. Follow this track for three quarters of a mile, to meet a road at a junction. 18. Take the defending Land (Ninety Cut Hill) opposite, signposted to Asthall. 19. Pass the driveway to a farm on the left, then take a footpath over a stile on the right signposted “Swinbrook 1/2”. 20. Follow the right hand hedge to a gate, and then a stone wall to a second gate with a slab stile. 21. Bear left to another slab stile opposite The Swan. Allow 2 – 3 hours. One moderate climb and multiple stiles; paths may be muddy after rain or impassable in times of flood. 1. From the entrance to the pub, turn left for a few steps, cross the road and go over a stone slab stile to the left of the house opposite. 2. Cross the field to another stone stile next to a gate and follow the wall beyond, before heading across the field to a wooden stile left of a large tree. 3. Keep towards the right-hand side in the next field, to emerge on the road by the bridge over the river. 4. Turn right and walk into Asthall village, ignoring the left—hand turn to Asthall Farm. 5. Turn right in the village and walk past the pub to the parish church. 6. Follow the road round to the left. 7. At a T-junction, turn left down an avenue of trees. 8. At the next junction, turn right onto a farm track. 9. Go through a couple of farm gates then, when the track bends right around a copse, take an unsurfaced track straight ahead. 10. Skirt another copse on your left then walk up the field edge to the A40. 11. Cross the road carefully into Burford Road and go through the gateway on the right. 12. Turn left along the field edge. 13. At a stile on the left, just before the path rejoins the road, turn right and walk across the field to another stile. 14. Walk through a series of horse paddocks beyond, separated by gates. 15. Beyond the buildings, enter a triangular field and walk along the left-hand fence to a stile into a hedged track next to a sand quarry. Turn right and walk out to the A40. 16. Cross over and go through a metal field gate; cross four fields separated by gates to descend to Mill Farm. 17. Walk out to the road and cross over, passing the mill and crossing the River Windrush. 18. Shortly afterwards, turn right and follow the track across the field to Widford Church. 19. Go through a gate next to a cattle grid and follow the footpath to the left of an isolated cottage. 20. 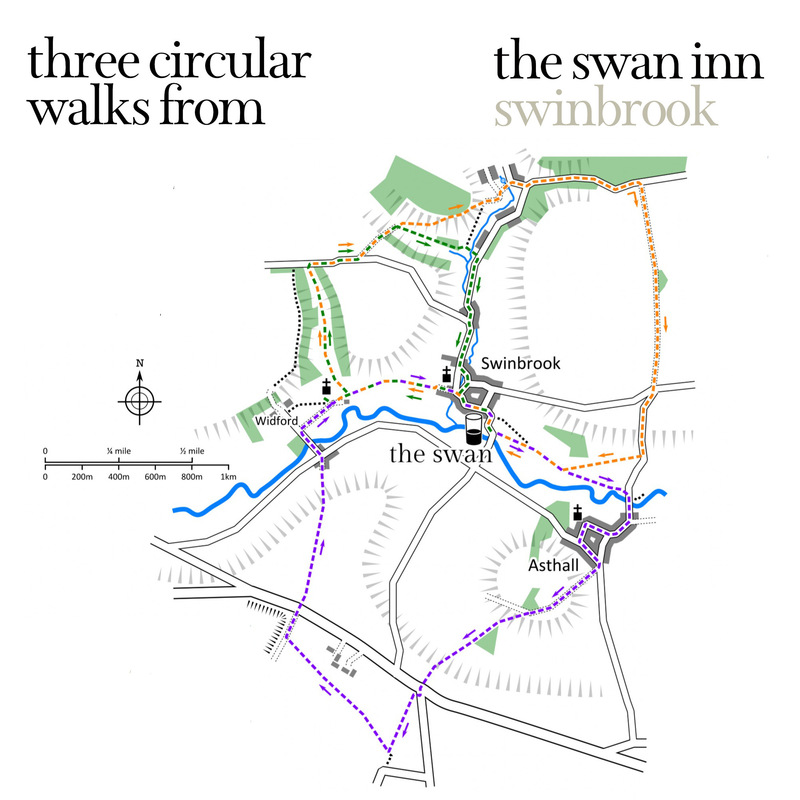 Follow the path beyond through fields, with the River Windrush: Down to your right, to join a walled path that emerges in Swinbrook village below the parish church. 21. Turn right and walk back through the village to the Swan. St Mary’s Church, Swinbrook has much of interest, inside and out. 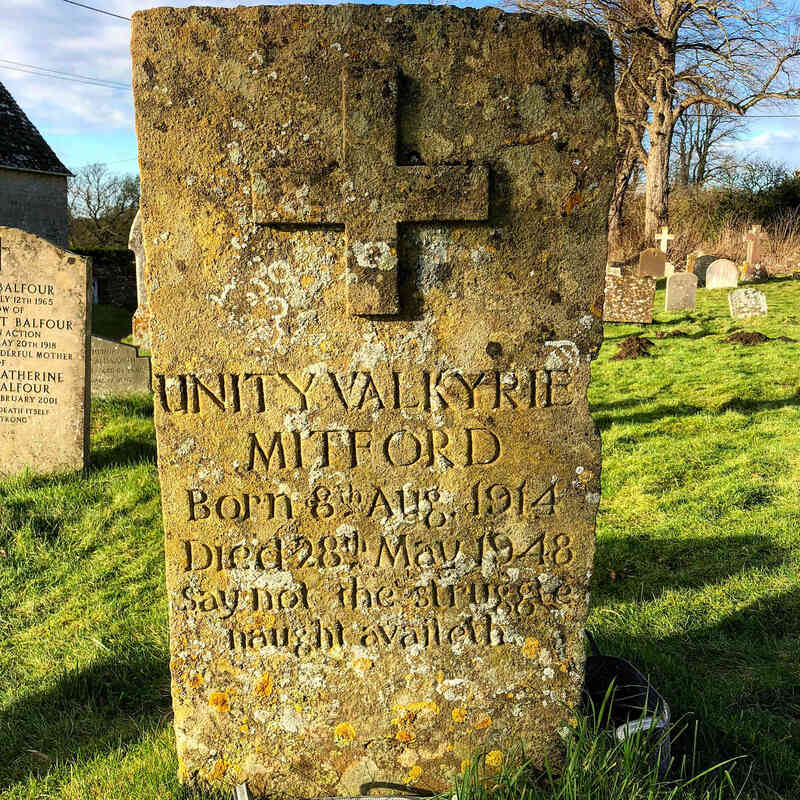 In the churchyard you will find several bale tombs – a Cotswold speciality – and the graves of four of the famous Mitford sisters – Nancy, Diana, Unity and Pamela – plus other relatives. 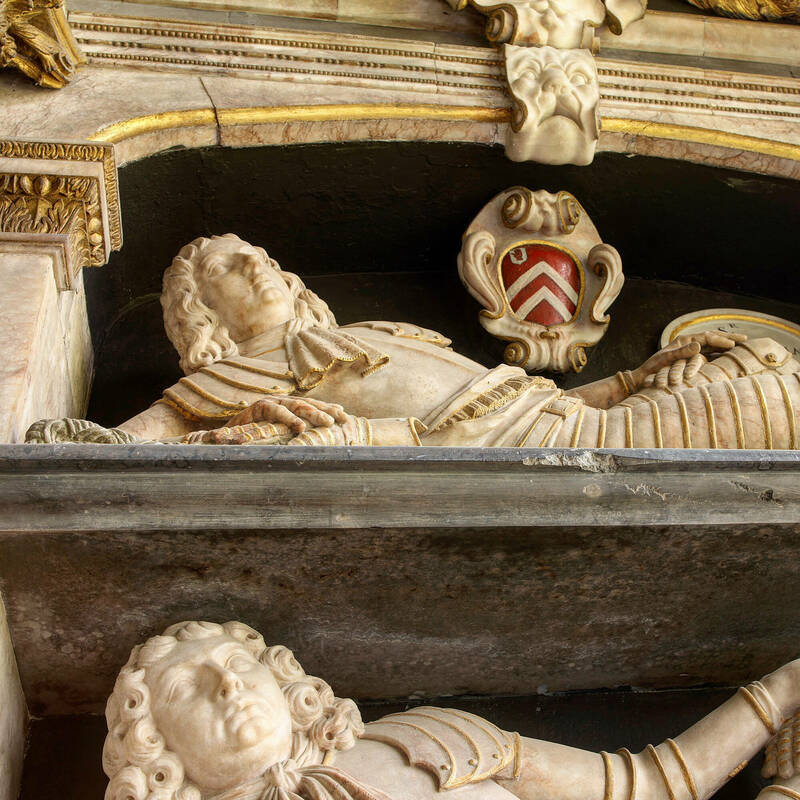 Inside St Mary’s Church are the famous Fettiplace monuments. The isolated church of St Oswald, Widford is surrounded by tell-tale humps of the deserted medieval village it once served. The interior has rustic interior with box pews, ochre walls and medieval wallpaintings. 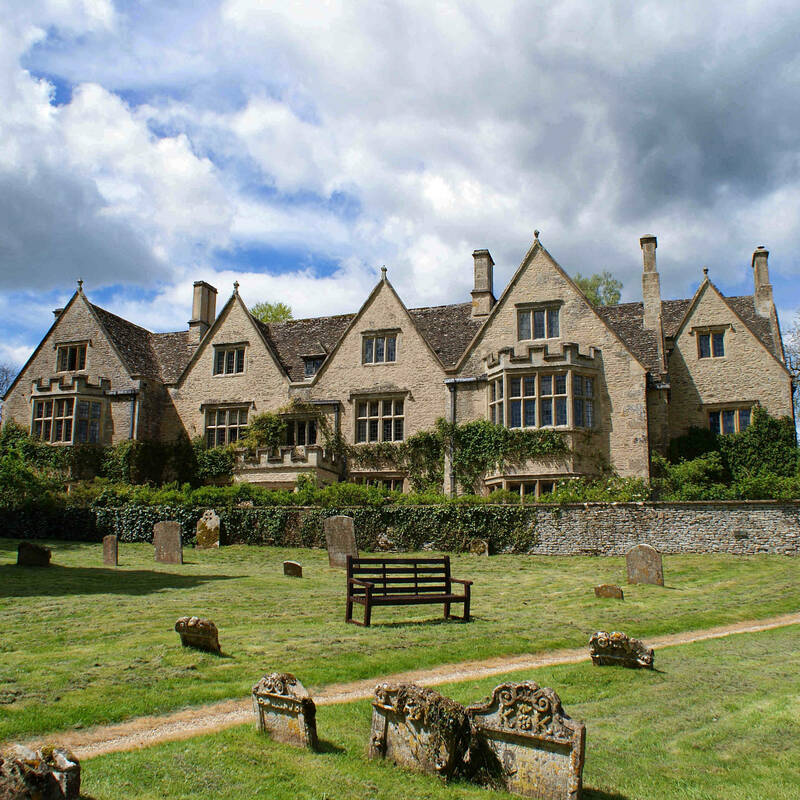 The church and Manor House at Asthall form a memorable tableau when viewed across the water meadows of the River Windrush. 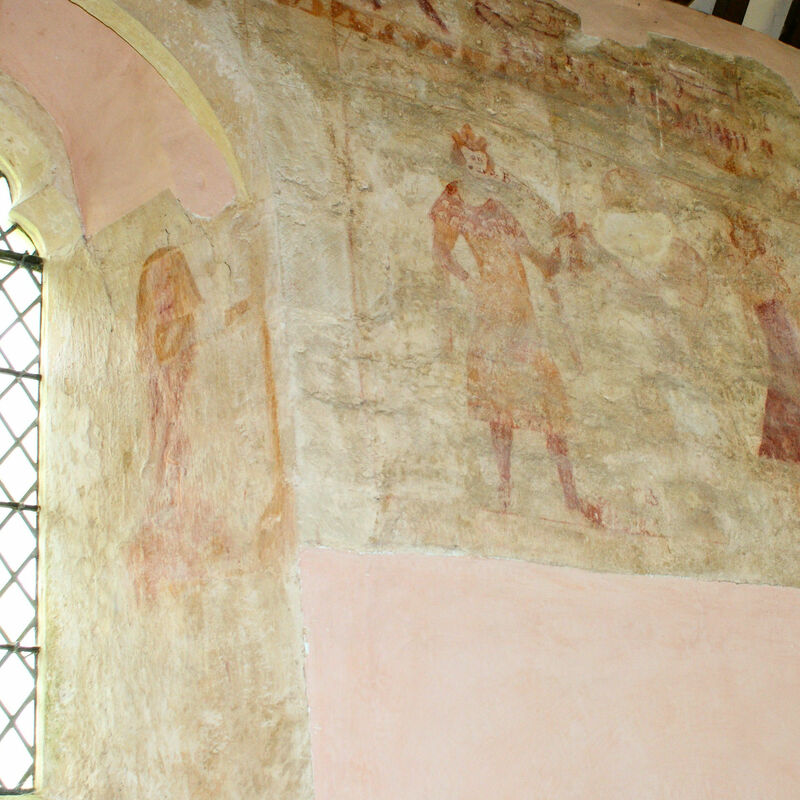 St Nicholas’s church in Asthall has Norman origins.